San Francisco International Airport may soon be changing its name to Harvey Milk International Airport if the San Francisco Board of Supervisors chooses to amend the San Francisco Charter with the proposed name change. 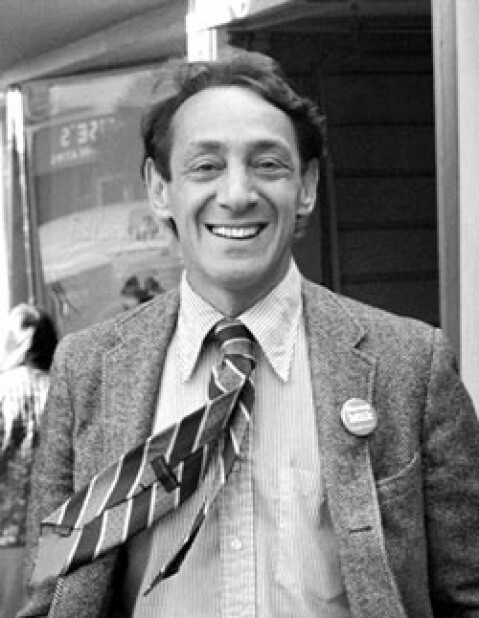 Harvey Milk was the first openly gay elected official in the United States and California in the 70s. He advocated for gay rights in San Francisco as a member of the Board of Supervisors and make many great strides in equality. Eleven months after he was elected to office, a former member of the Board of Supervisors assassinated him and Mayor George Moscone. Harvey Milk in the Castro circa 1977. Image courtesy of Daniel Nicoletta. One of the many reasons why Harvey Milk’s nephew, Stuart Milk, and the Harvey Milk Foundation want SFO to be named to Harvey Milk International Airport is because it would be the world’s first airport honoring an openly gay person. Many airports in the United States are named after people, but the majority are named after aviators and politicians. A few airports are named after film stars, but a Google search revealed that this would only be the second airport named after an activist. “Honestly, I don’t think its going to happen. It would be great if it did, but I don’t see it happening,” said sophomore Kaelen Ghandhi. San Francisco International Airport originally was named Mills Field Municipal Airport in 1927, but renamed as the San Francisco Municipal Airport in 1931. Municipal was replaced by International in 1955 and it has remained under that name since. It was voted as the Best International Airport in North America in 2008 and has continued to impress the world with its innovative museum and transportation system. Many other things bear Harvey Milk’s name today. In San Francisco, there is the Harvey Milk Plaza, Harvey Milk High School, and the Harvey Milk Lesbian, Gay, Bisexual, Transgender Democratic Club. Former California Governor Arnold Schwarzenegger proclaimed May 22 as Harvey Milk Day, many books have been written about him, and the acclaimed movie Milk was released in 2008. “I think it’s impressive that San Francisco is naming the airport after him since he is controversial,” said sophomore Amanda Breslauer. Many residents of San Mateo County are unhappy with this change because they don’t have a say in it. Because the airport is owned by San Francisco city and county, San Mateo County has no say in the matter. “I think it would be cool because it’s a way for San Francisco to show it supports gay rights and if you aren’t down with gay rights, then don’t fly into SF,” said junior Aaron Goodwin. The petition is currently at slightly under 16,000 signatures and will be sent to the San Francisco Board of Supervisors. The signatures are coming from all over the United States to show support. If this passes the board, it could be a huge gain for the Bay Area LGBT community, but it still has a ways to go before the airport is renamed.